Your guide to coming up with a great business idea, learning how to validate it, getting it protected and figuring out whether to manufacture or license it. Note: Nothing within this article should be construed as legal advice. Please consult a patent attorney for more information about filing for a patent, and getting your idea to market. Everything you see around you—every item you own, every book you’ve read, every app you use, every website you browse—was once nothing more than an idea in someone else’s head. That airplane thousands of miles above you. The memory foam pillow on your bed. The headache pills. The toothbrush. Your guitar. The internet. All of these things began as dreams. The great thing about starting to see the world as an overstuffed library of ideas is that you couldn’t have any better proof that inventing is for everyone. If someone else can dream something and turn it into a reality, time and time again, you can too. 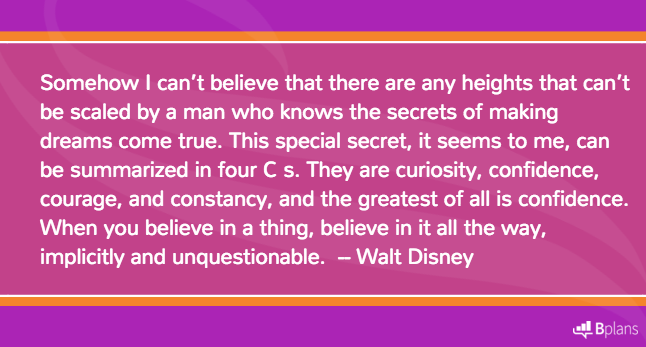 So, if you think you’ve got a genius idea, be prepared to put in the legwork to see it through. It’s not as hard as you think! We’ll walk you through the things you need to do to get your ideas to market, and give you a number of useful resources to help you figure out everything you need to know to do it. All you have to do is read (and learn), develop a good sense of focus (think essentialism, or one priority at a time), do your research, test, test, test, and stick it through! Coming up with an idea or inventing a product is a process that takes commitment, dedication, and self-belief. If you’re someone that gives up at the first “no” or who is discouraged by negative feedback, you’re going to need to start working on believing in yourself before you send your idea out into the world. According to Jo Boaler, Professor of Mathematics Education at Stanford University, it’s important to believe in yourself, because the “growth mindset” that comes part and parcel with doing so, literally changes your brain chemistry. By cultivating a growth mindset (a mindset in which your brain is very active), and by working hard, your brain can grow and change, making it easier for you to solve problems and find new solutions. If that’s not enough to convince you to get on the self-help bandwagon, almost every inventor I spoke to when researching this article told me that being obsessive and sticking the inventing journey through was what got their idea or product invented. With that in mind, let’s move forward to figuring out how to come up with great ideas. If you’re reading this, chances are you’re someone who has ideas, and probably a lot of them. If you are indeed an “idea person,” you know that coming up with ideas isn’t the hard part. It’s sticking with just one of them for long enough, and seeing it through from vision to reality, that really is the trial. If, on the other hand, you struggle to come up with ideas but still really want to be an inventor, read our guide on how to come up with hundreds of business ideas—it’s fool-proof. Ultimately, inventing a product or coming up with an idea means one thing: solving a problem, whether it’s your own or someone else’s. Problem: dry skin. Invention: moisturizing skin cream. Problem: need to work at night in the dark. Invention: light bulbs, candles, flashlights. Problem: hairy clothes because you have a cat or dog. Invention: lint roller. Problem: can’t stop biting fingernails. Invention: horrible tasting nail polish to stop you. Problem: need to contact someone far away. Invention: telephone. Problem: boredom. Invention: board game. You get the point. Where there’s a problem, there’s a solution. The best part about inventing new things is figuring out which of your problems, or other people’s problems, you’d most like to solve. If you can find a problem that hasn’t been solved, or a way to solve a problem better, you’ve hit upon something you may want to pursue. Of course, you don’t have to solve a brand-new problem; you just have to come up with a solution that is all your own. If you want to invent a new solution to oily hair (shampoo), no one is stopping you. The trick then is figuring out what your exact solution is, and whether or not there will be demand for it on a scale beyond just yourself, or whether or not you’ll be able to compete, if you’re entering an already-flooded market, like the shampoo market. We’ll talk more about this in step three. To come up with a really great idea, all you need to start doing is tuning into your own frustrations. Doing this is easier than you think, especially if you have a job, hobby, or pursuit that you’ve been doing for years. This sort of in-depth experience gives you unique insight into the daily workings of a particular industry. Do you know a specific market’s secret? For example, I’ve been making my own jewelry for years. Though I’ve really only been a hobby jeweler, I’ve been doing it for so long, I’m already deep in the marketplace. I know all the jewelry suppliers, and I know what products and ideas are currently trending. When I wanted to start making more professional metal jewelry, I started shopping for a jeweler’s workbench. 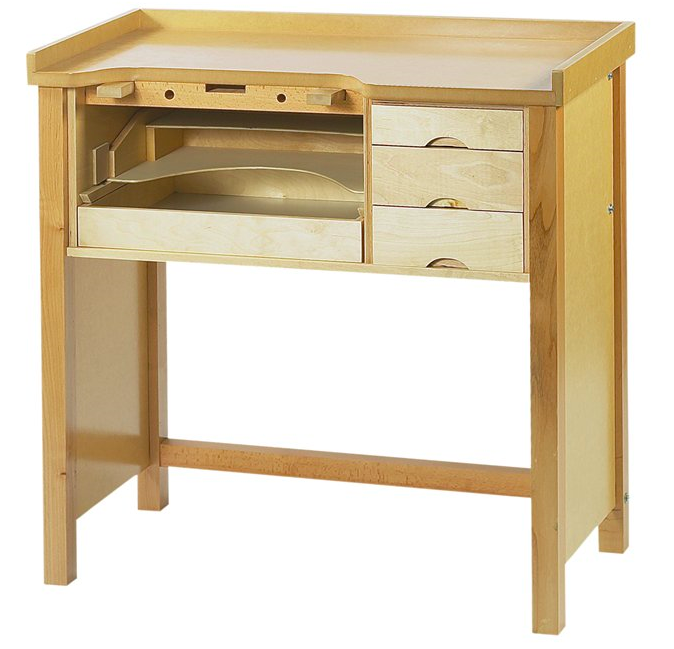 I needed a desk that had features that would give me quick access to a variety of tools; that was large enough for all my mixed media projects; and that was also sturdy enough it could take hammer blows and an occasional brush from a blow torch. The most affordable jeweler’s workbench on the market at the time started at around $400. It was small and expensive. Rather than spending the money, I spent months looking for something larger and more affordable, something that simply didn’t exist, even when I looked outside of the jewelry niche at hardware stores and wood shops. For anyone who doesn’t know, the hobby jeweler’s market is huge. In 2011, it accounted for approximately $2.3 billion in total industry sales. Today it is even larger. So, if I were going to invent something, I’d probably start by creating an affordable jeweler’s workbench, not least because I’d be able to test it, and because I already know all the distribution channels I’d need to hit in order to sell it. Naturally, while doing my market research, I might find that the need for such desks isn’t high, and that the problem is exclusive to only a few. But, I’ll never know if I never put my hypothesis to the test and start doing the research! Of course, solving your own problems isn’t the only way to go about finding an idea you can work with. If you prefer, you can also start paying attention to others’ frustrations. What are other people always complaining about? What do your friends want? What product doesn’t function like people wish it would? To find out what people are complaining about, read forums, turn to your social media accounts, and read reviews. Open your mind to all the problems people are talking about. Once you’ve hit upon an idea you think you’d like to move forward with, it’s time to validate it by doing your market research. According to Patricia Nolan-Brown, author of “Idea to Invention,” there are six primary reasons you do market research. I’ll expand on each of them, and offer you some additional, useful resources. If you do have competition, pay special attention to your product name, price range, materials used, what the product claims to do, packaging, and who the manufacturer is. You can do a lot of this research online, but you can also do it in-person. Drop into a store that you think would be a great candidate for stocking your product in the future. Check out what merchandise is taking up shelf space and figure out where your product might sit within a similar store. If you find similar products exist when you’re doing your research, look for patent numbers. That said, not every product that has been patented can be found in stores. You will still need to do an online search to make sure you’re not infringing on someone else’s idea. The U.S. Patent and Trademark Office (USPTO) is a great resource to help you learn more about intellectual property. In fact, they’ve created a 39-minute step-by-step video course to guide you through the process of conducting a preliminary U.S. Patent Search. You can also use Google’s Patent Search to see if similar ideas have been patented. If you do find a patent similar to yours, worry. How the patent is worded can make all the difference. If you need help at this stage, contact a patent attorney and get their opinion. Don’t confuse a regular lawyer with a patent attorney. Only the latter is licensed to practice before the USPTO. To find a patent attorney, use the USPTO’s search directory to find qualified help. Also known as asking people whether or not they’d buy your product. Make sure to ask people that can be objective (mom and dad probably won’t be) so that you can get honest feedback. Try to sample your ideal audience, and not just anyone. If you want to explain your idea to someone in-depth and are worried potential theft, you can get them to sign a non-disclosure agreement (NDA)—a legal document that states both parties intent to keep information confidential. You can create one for free on the RocketLawyer website. If you’re trying to gauge interest through online surveys, be sure to be more vague about your idea, as at this stage you likely don’t have a patent. For example, if your idea is a new way to remove cat sand from a cat litter tray, you could ask people what bothers them most about the process of doing it. This way you don’t give away your idea, and you get information related to people’s pain points. Providing your product is made from similar materials, and doesn’t include extra bells and whistles, you can price your product somewhere between the lowest and the highest price of competitor products. Of course, you could also calculate your price based on the cost of materials and manufacture. Pricing a product right is as much an art as it is strategy informed by careful research. Read our article on strategic ways to price your products or services. A licensee is a company that agrees to manufacture and sell your product idea. Like a book publisher, licensees usually send you payments in the form of royalties, so for each product sold, you earn a percentage. If you’re far more interested in inventing things, this may be a good idea as licensees do all the hard work for you: producing the item, shipping it, marketing it, assuming liability, and so on. A great way to find potential licensees is to look for products similar to yours and then to look for the name of the manufacturer. You can usually find it right on the box! Compile a list of these so that you can start reaching out to them once you’ve patented your idea. 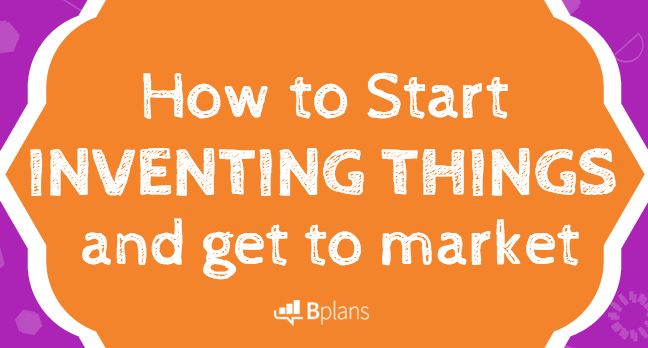 In the world of inventing, a “sell sheet” is also something you’ll need to learn to write. It’s usually a one-page description of your idea, with the sole purpose of enticing licensees, buyers, or trade show attendees to get excited about your product. 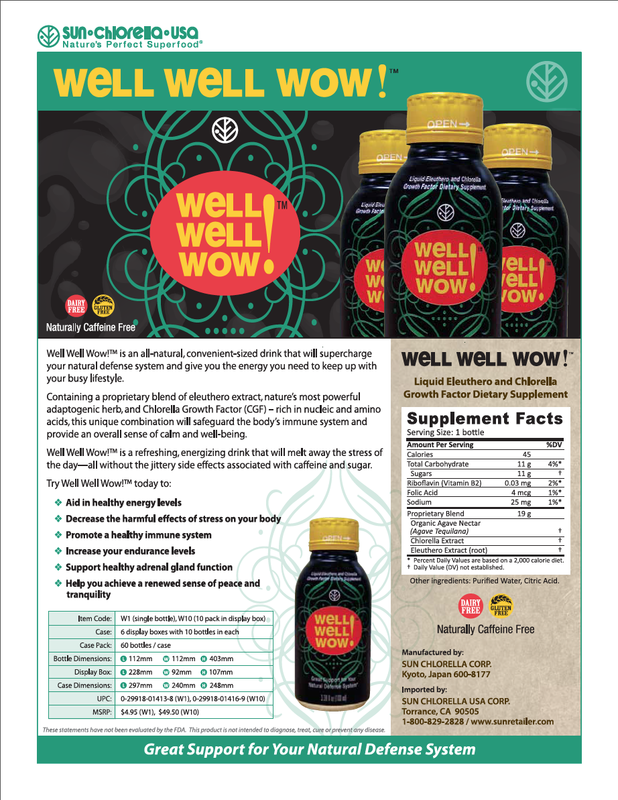 Here’s an example of a great sell sheet for a product called Well Well Wow! You can learn more about crafting a sell sheet on the I’ve Tried That website. Once you’ve worked through your preliminary market research (likely before you’ve had a prototype made), you can begin validating your idea. Thankfully, there’s a fast and affordable way to do so. 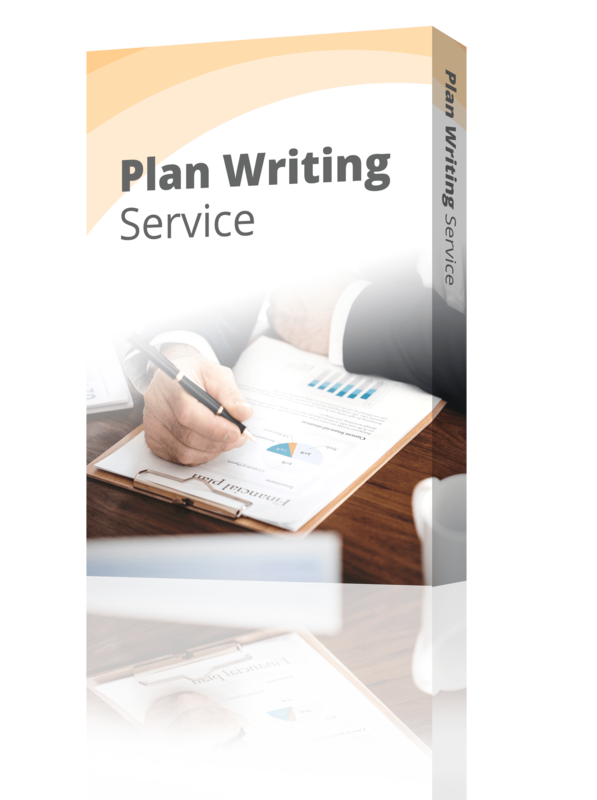 At Palo Alto Software, we use the One-Page Pitch feature in LivePlan to quickly validate new business ideas. You can do this on your own too using the lean planning methodology. As you work through validating your idea, you’re going to need to understand how to conduct market research, and you’re going to need a list of market research resources to help you do just that. Use the research process to help you get a good sense of the type of customer your product will serve. Not only will this impact how you design the product, but also where you distribute it, and how you market it. Furthermore, the industry statistics for businesses who focus on products instead of customers are harrowing. According to a study conducted by seed accelerator Blackbox, many tech startups failed because they focused on their product rather than their potential customers. Beyond focusing on your potential customer base, make sure to scope out the competition. If you don’t have direct competition because your idea is entirely novel, think of the indirect competition. For example, our product LivePlan offers a host of features that make it easy for business owners to manage their financials. Before they used LivePlan, many of our customers had to make do with Excel, using complex formulas to keep track of important data. Even though Excel is generalized spreadsheet software and requires a lot more work that our easy-to-use business dashboard, it’s still an indirect competitor as our target audience still uses it to the same end goal. These indirect competitors may make it very hard to entice people away, even if you have a solution that’s better than theirs; this is especially true if they already have market share, and especially if that software is more affordable, or free. If you go through the idea validation process only to find that your idea seems like a flop, don’t despair. Many ideas can be improved with a bit of fine tuning. You’ve got a good idea, and you’ve validated it. Now you’re ready to get a prototype made so that you can test it. Congratulations! This is where the fun really begins. The first thing you’re going to need to take into account is your budget. How much can you afford to spend on getting a physical prototype made? I’m not just talking about a 3D-printed mockup of your product, but a real-life working design. What are your customers reactions to your product? Does it function as you had hoped? When it comes down to prototyping your idea, you need to first decide what the purpose of the prototype is. Is it so you assess the product, or is to sell to prospective clients? Depending on its purpose, you can adjust your budget to suit. At this beginning phase, don’t spend too much money. In fact, if it’s possible to make a functional prototype from cardboard or paper, that’s totally fine. 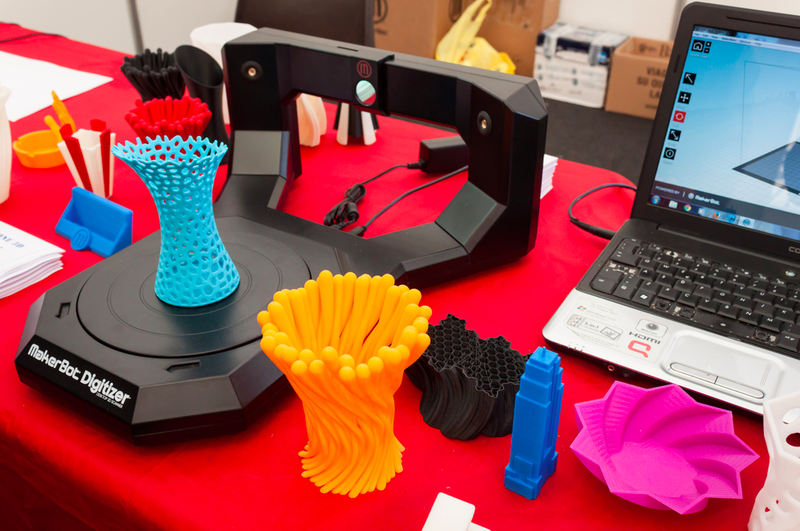 If you do however require a more professional prototype, use a 3D printing company, or find an affordable manufacturer. You can check out the resource list at the end of the article for more information. Make sure to do this initial manufacturing in small batches, too. After all, you don’t want a warehouse of prototypes—and what if you find out there’s something wrong with the first one? You want to be able to change it. If, during the market research phase and after validating your idea, you find there are no matching patents, or products in store, you’re ready to begin the process of getting your idea legally protected. If you’re still doing research and are worried about someone stealing your idea, you may be thinking about filing for a patent as soon as possible. The problem with doing so, is that it’s an expensive process and you may not yet have figured out whether your idea is marketable. In this case, you may first want to file for a provisional patent application (PPA). I’ll start by walking you through some of the ways you can go about protecting your products. A non-disclosure agreement is a legally-binding mutual agreement between you and whomever you are sharing your idea with. If you have not yet patented your product but would like to share it with a third party, it’s usually advised that get one. In order for the NDA to be enforceable by law, it will need to be signed by both yourself, and the party receiving it. If you need an NDA, you can pay an attorney to create one for you. You can also do a Google search to find one that you can use as a template. If you want to protect your new idea’s name, you should apply for a trademark (™). With trademark protection, nobody else can use the name on similar products. You can also use a trademark to protect a logo or a phrase associated with your product. If you’re going to license your idea, you may not need to patent your logo, or even a marketing slogan. The name is likely enough, as the company licensee will have their own team to do the rest for you. Why spend the extra money when you don’t have to? To get a trademark, you can pay an attorney to conduct research to find out whether or not the name, logo, or slogan has been taken, and to file for trademark protection as well. If you’d prefer to save money and do the filing yourself, you can once again turn to the USPTO website. They will walk you through the entire process. Once your application has been completed and you’ve received confirmation of having done so, you can start using the (™) symbol after your product’s name. It’s worth noting however that use of the (™) symbol does not guarantee you will be protected under trademark laws. In order to be fully protected, you will need to wait until the name, logo, or phrase you filed to protect, becomes a registered trademark (®). This can take up to a couple of years, but by the end of the process, you’ll have a fancy-looking certificate to prove it’s all your own. If once you’ve filed, you find someone is using your name, you can ask an attorney to send a “cease and desist” letter. Usually that’s enough to avoid getting into a costly legal battle. The same is true for your own actions; make sure to do your research before choosing a name. After all, you don’t want to be on the receiving end of the letter—or even worse, of a court case. The benefit of filing for at least a PPA, even if you simply want to license your idea, is that you get “patent pending” status, a first-to-file date, and a couple of years to test and tweak your product. That said, you need to file for a full patent (AKA: non provisional patent or NPA) within one year. Filing for a PPA is a fairly inexpensive way to go about getting your product protected. This is partly thanks to the “first inventor to file,” law, which protects whomever filed for patent protection first, even if the other person had the idea many years before. It’s also a good idea to file for a PPA if you foresee the non provisional patent process taking a long time. This will help ensure someone doesn’t steal your idea in the interim. Given that you need to file for a full patent within one year of obtaining a provisional patent, you should start the non provisional patent process filing as soon as possible as it can take up to half a year to receive full protection. If you plan on approaching a licensee or an investor, you may also find that they prefer dealing with a product that has some form of protection. Seasoned inventor Patricia Nolan-Brown suggests going through a patent attorney when filing for either a provisional patent or a non provisional patent. If your attorney pushes you to file for an NPA right from the get go, be aware that you won’t be able to change your product without paying additional (sometimes substantial) fees. For many people seeking investors and licensees, or who simply want to test the market, the PPA is perfect for exactly this reason—if there are changes to be made, you still have the freedom to make them. According to the USPTO, “A patent for an invention is the grant of a property right to the inventor, issued by the United States Patent and Trademark Office.” Patents usually last for about twenty years in the U.S. There are three types of patents in the U.S.: utility patents, design patents, and plant patents. To file for a full patent, you should use a patent attorney. Make sure you read what your attorney writes when creating the patent document as you are the one who knows your product best. Even though this will be an expensive process, it will ensure your product is 100 percent protected. While everyone can be an inventor and play their hand at inventing things, not everyone is cut out to be an “entrepreneur-inventor.” Some people prefer to invent for royalties, avoiding the entire manufacturing through marketing and distribution process. FindLaw suggests you analyze your personality before deciding. If you’re someone who is great at sales, who can manage people well, who can clearly convey their idea to the world and who enjoys taking risks, owning the process yourself may be right up your alley. Making this decision could also come down to the cold, hard facts: Do you have the money to manufacture your idea? In this section I’m going to discuss the pros and cons of each so that you can better decide what type of inventor you are. The great thing about licensing your product is that it requires a lot less up-front investment and it eliminates most of the risk around bringing an invention to market. By contrast, manufacturing requires tooling and staffing production facilities, which means you’re going to either have a costly set-up if you want to make your own products, or have to do a lot of work to find a manufacturer you can afford to pay. Unfortunately, because royalties from licensing agreements are often a flat percentage rate, the potential growth in return on a licensed invention is linearly bound. Usually royalties fall somewhere between 2 percent and 10 percent of the net profit. This isn’t the same when you manufacture. The economies of scale in manufacturing can allow returns to grow exponentially. One element of risk in licensing your invention is the possibility of an agreement gone wrong, which could end up in a long legal battle and the price to match. Then there are the statistics to consider: One study (requiring people to self-report their success or failure) by Ed Zimmer and Ron Westrum found that only 13 percent of inventors were successful in licensing their invention. If you’re keen to go down this route, don’t let the number put you off—just remember, you may have to DIY if things don’t work out. That said, this same study found that almost half of the inventors who decided to take control of producing and marketing their invention claimed that they were successful. If you’re still interested in finding a licensee, remember that you do not have to opt into an exclusive contract with them and you can license to other companies first as a means of assessing the feasibility of manufacturing the product on your own later. However, still take into consideration that companies licensing an invention will have higher expectations for profitability, as the royalties they will pay increase the expenses and decrease overall profitability for them. If you’re still wondering which route is right for you, consider: How complex is your invention? If your invention is simpler, it could be more feasible to begin manufacturing operations in order to produce it. However, for a more complex invention, especially if some aspect is technically complex, it may make more sense to license the invention to a company that is better-equipped to manage those complexities from a production perspective. Remember, licensing an invention will require buy-in from the company you license your idea to. You might not find interested parties willing to license the invention from you, at which point manufacturing may be your only choice. When should you start marketing? Another question many inventors ask when they’re hovering around the manufacturing stage, is: Marketing before, or marketing after? If you decide to license your invention, you will need to pitch it to prospective licensees, and like any other pitch, you might need to try dozens of opportunities before you get a bite. In this case you will at least need to have a “sell sheet,” something we discussed above. However, if you decide to manufacture the invention and sell it yourself, you will need to continuously market your product. This can be a huge expense. If you don’t have much marketing experience, or aren’t particularly interested in learning, you might prefer to go the licensing route. Below you will find some of the top-rated books, websites, and resources for inventors. The USPTO is arguably one of the most important. If you know of any others that haven’t been included, be sure to let us know in the comments below. The Inventor’s Bible, Fourth Edition: How to Market and License Your Brilliant Ideas by Ronald Louis Docie Sr.
Makexyz: This company pulls from a database of top-notch 3D printers. You can either submit your idea to Makexyz and get them to handle the process for you, or reach out the 3D printers themselves. The MakerBot: If doing your own 3D printing sounds more up your street, this is one of the most user-friendly printers currently on the market. If you’re not a CAD whiz, consider using sites like Fiverr or Elance to find product designers who are. Alibaba: Alibaba is the world’s biggest supplier directory. From this site you can find international companies that can manufacture your product. ThomasNet: Be sure to look at their Register of Manufacturers. Tip: If you have a market saturated with competitors, take a look at the product packaging. Many of them will include a manufacturer’s name, and even if they don’t you can probably go online and find it. Quirky: This is a great place to learn about the product development process, and to take a shot at getting your idea picked from a host of others to be manufactured. Edison Nation: If you’ve got an idea you want someone else to evaluate, this is the site for you. Best of all, it doesn’t matter what stage you’re at—all ideas at all stages are welcome. Kickstarter: When it comes time to get your idea manufactured in bulk, Kickstarter might just be the platform for you. Many great ideas had their origin here and got big; remember that 3Doodler, and the Scribe Circuits Pen? Best of all, Kickstarter has a free library of successful projects. Browse the library to see if you can find a pattern, or to figure out the best way to set up your Kickstarter profile so that you can increase your chances of getting funded. U.S. Patent and Trademark Office: The government’s patent office is the place to go for almost all your patent-related needs, from understanding patents and searching existing patents through registering and maintaining them. This is going to be your “holy grail” for most things you invent. Inventor’s Digest: This is the oldest magazine for inventors. You can subscribe on the site, or order a 12- month subscription from Amazon. Be sure to check out the ABCs of Inventing section on their site for a list of super useful tips—do this before you get started!